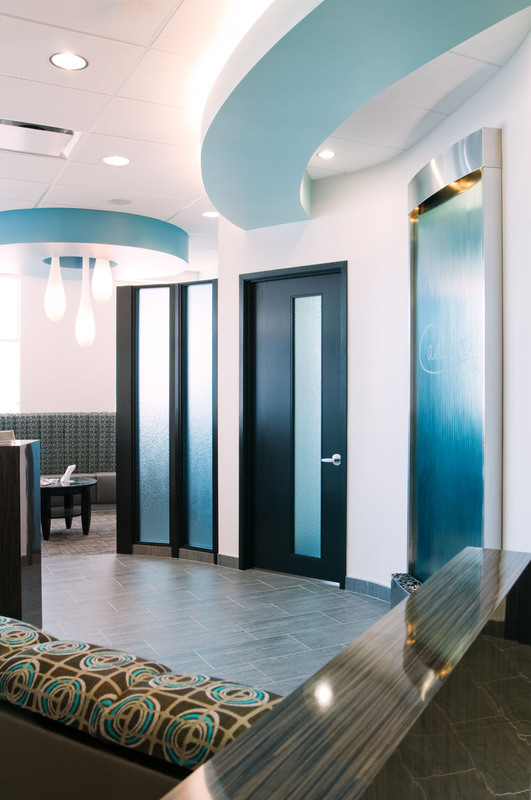 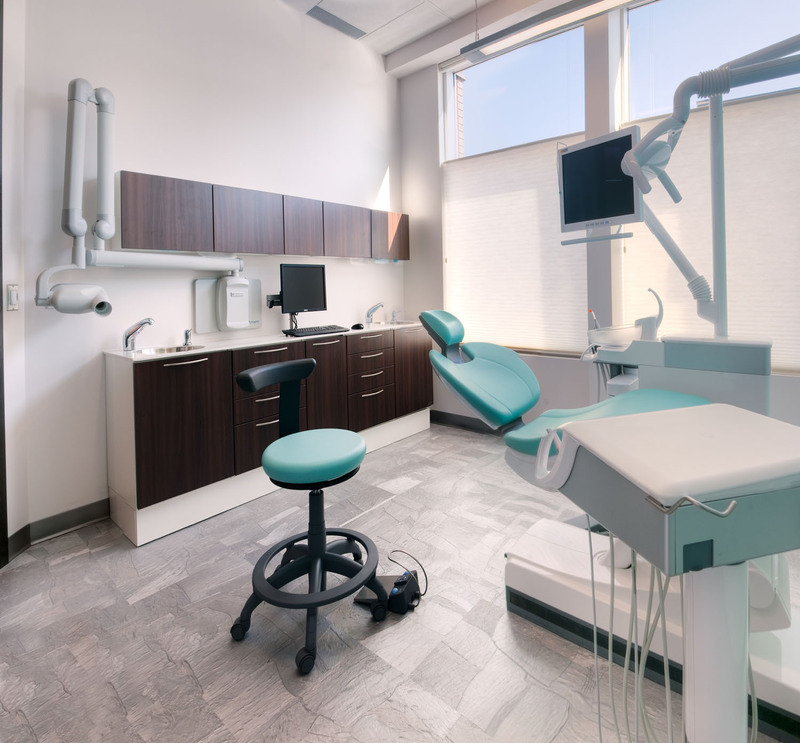 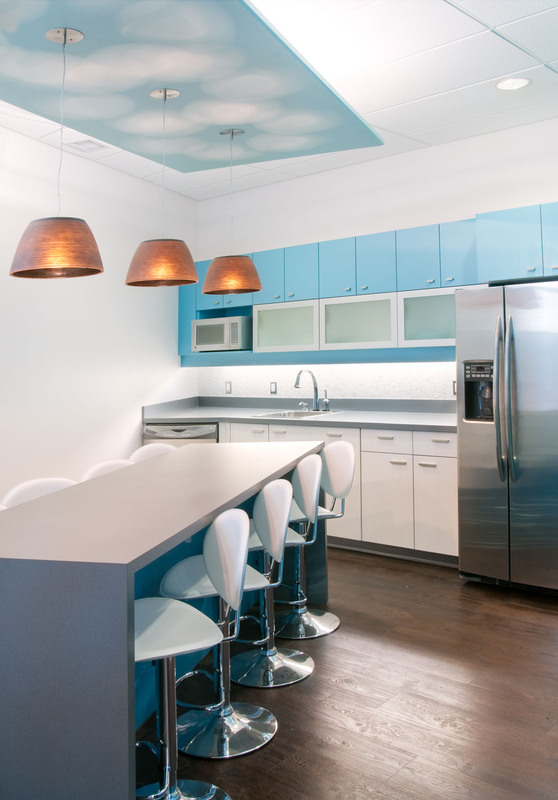 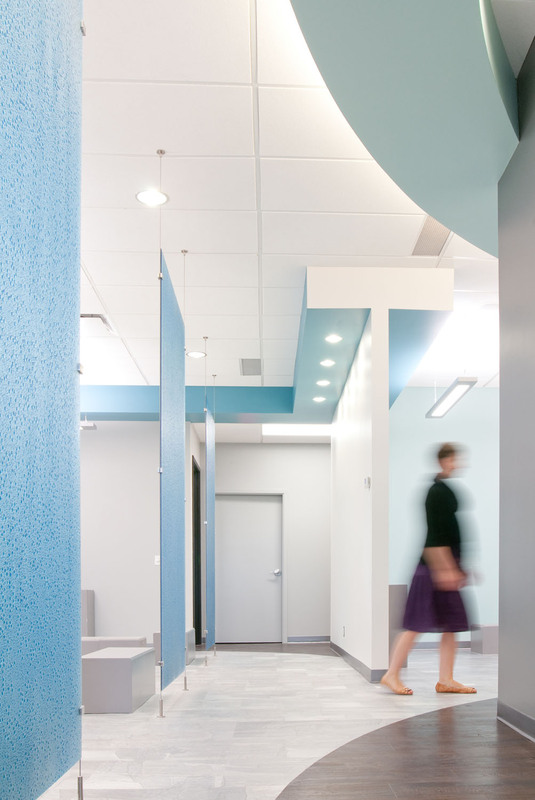 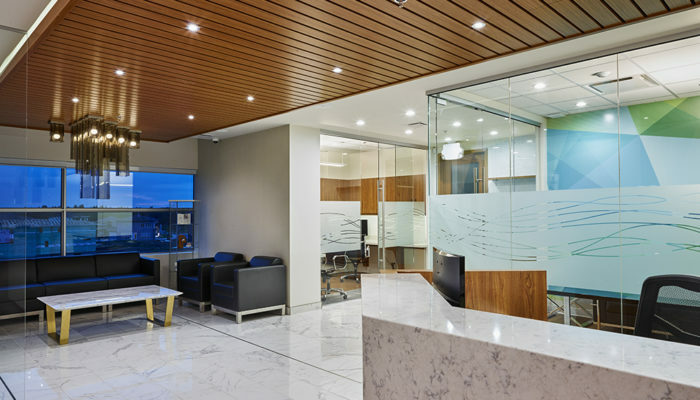 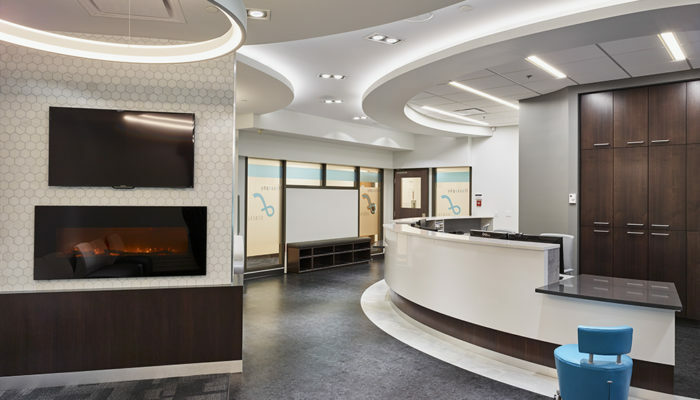 Cadence Dental : Wolski Design Group Ltd. 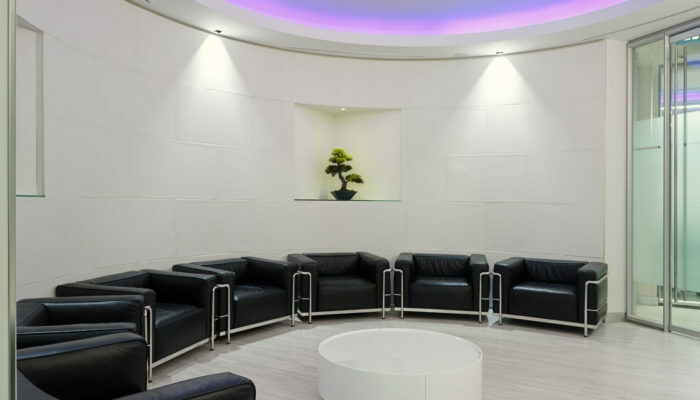 The Cadence experience begins the moment you walk through the door, cued by the soothing sounds of a water feature. 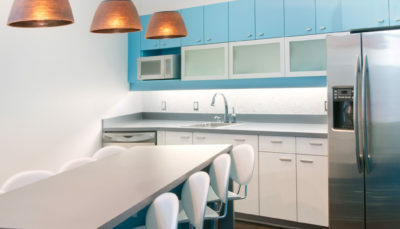 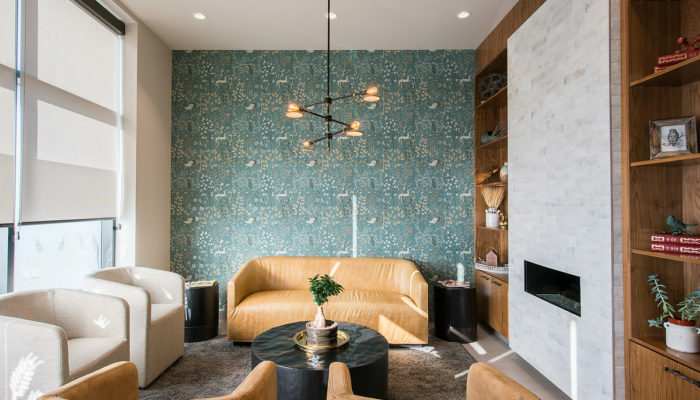 Contemporary art adorns the walls, and large light fixtures pour out of the bulkhead above. 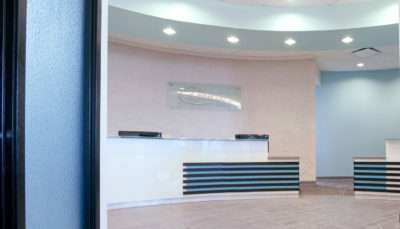 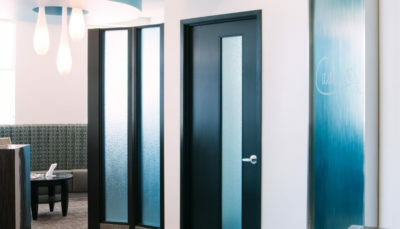 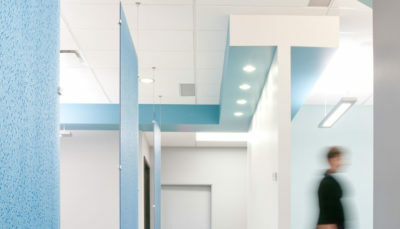 Textured wall panels provide a unique background to the curved reception desk. 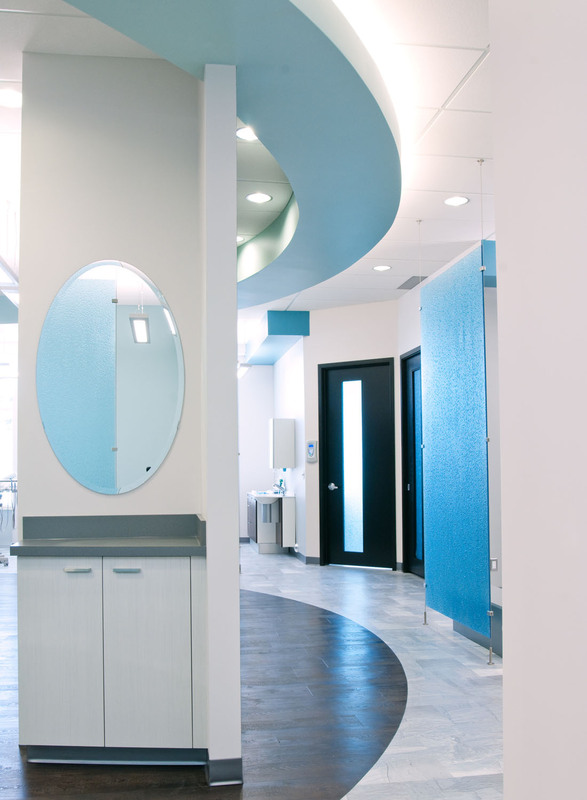 The relaxing spa theme echoes throughout the space, with resin inserts in all sidelights and doors. 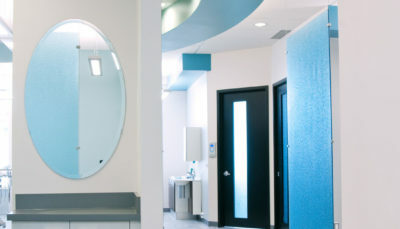 Its circular design allows for easy traffic flow, while the doors separating the waiting area and operatories enhance patient privacy. 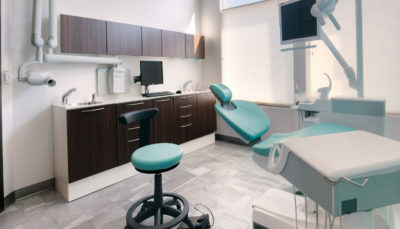 The sterilization room acts as a hub to the perimeter operatories, allowing staff to clean and restock tools efficiently. 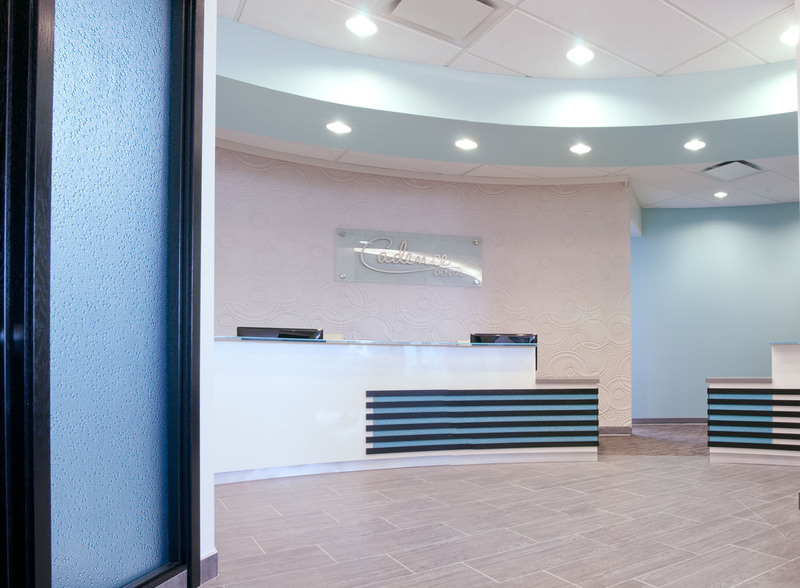 The Cadence experience begins the moment you walk through the door, cued by the soothing sounds of a water feature.